IUKANET Review 2019: Is IUKANET a Good Hosting? Spanish host IUKANET provides a range of shared and other hosting solutions from its cloud data center, but with no published prices and no response from the company, it’s hard to see how it stacks up against the cloud hosting competition. I.T. services provider IUKANET specializes in shared hosting, cloud servers, dedicated servers, server housing, domain name registration, and server outsourcing. Based in Valencia, Spain, this hosting provider was founded in December 2010. Its website is available only in Spanish. The shared hosting solutions use CloudLinux servers to isolate you from the effects of other hosted customers, and the cPanel control panel is provided to manage your hosting. Each hosted user is limited to 1 GB RAM and 1 CPU. IUKANET provides free backup space on its cloud storage servers, with daily and weekly backups ensuring that clients’ data remains safe in the event of a disaster. Customers with high storage needs can buy online backup services as an additional package, whereby you can take your own backups and replicate them in IUKANET’s data center for security purposes. At the cloud data center, IUKANET uses SSD servers powered by leading manufacturers including HPE, Dell, and Supermicro. The SSDs ensure fast website loading speeds, and KVM technology ensures high uptime availability. This vendor will also prepare the servers, switches, and physical routers you need to build your own cloud solution. 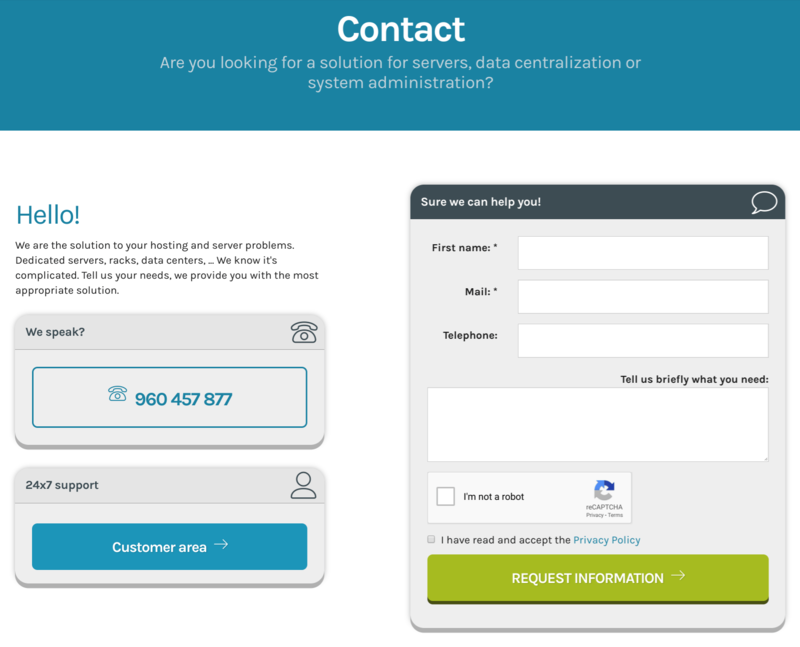 Unlike most providers of similar shared hosting solutions, IUKANET does not show prices on its website, so you have to contact the company to get a quote. There are no advertised free trials or money-back guarantees, but you to get a good 99.98% uptime guarantee. You can contact the company for your price quote, or to get technical support, by telephone, ticketing system, email, or live chat. Unfortunately, the supposed 24/7 support team was unresponsive when I sent an exploratory email. This wouldn’t be so bad if IUKANET provided comprehensive self-support resources, but there is virtually nothing in the provided knowledge base. Since it leverages its cloud-based SSD servers to offer high reliability and performance, IUKANET could be an ideal hosting provider for anyone wanting advanced data center solutions. But with no listed prices, it’s hard to assess if the hosting plans represent good value for money compared with competitors in Spain and elsewhere. Furthermore, the lack of response from customer support sets a poor precedent for customers considering committing to a hosting contract. Contact IUKANET about its cloud data center solutions. Wondering how IUKANET stacks up against other Web Hosting companies? Enter any other Web Hosting company and we will give you a side-by-side comparison.